A Sheffield girl with a rare form of autism has been ‘failed horrendously' by the education system, says her frustrated mum. Eleven-year-old Grace Wild, from Handsworth, should have started secondary school in September but her mother is still looking for somewhere to take her after 26 schools failed to meet the bill. Tracey Wild says most of the schools she has tried are not set up to meet Grace’s complex needs, and the few which are have no places available – despite her casting the net as wide as Wakefield. Grace has a condition called pathological demand avoidance (PDA), which means the ordinary demands of daily life can cause her great anxiety, sending her into violent meltdowns. Tracey says her daughter wants to learn but funding shortages mean there are too few schools equipped to take children like her with complex needs. Her education currently consists of six hours a week with the Hillsborough-based theatre company A Mind Apart, where her mother says she is flourishing but claims it is no substitute for school. Grace had already missed much of her final year at primary school, where she had to be restrained on numerous occasions. Her mother claims the provision there was not appropriate and caused Grace such anxiety she now suffers from depression. “Every child has a right to an education but there’s just nothing for Grace or other children like her, because of funding cuts,” said Tracey. Tracey fears Grace may end up missing a whole year of school, with no solution yet in sight. Grace was diagnosed aged five with ADHD (attention deficit hyperactivity disorder). She was nine when her parents were told she had autism but was only diagnosed with PDA last year, after her parents sought a private assessment. Symptoms of PDA include resisting and avoiding the ordinary demands of life, like getting dressed; obsessive behaviour; extreme mood swings; and being comfortable in role play or pretence. It is a form of autism but many of those who have it appear, on the surface, to possess better social skills than other people on the spectrum. People with the condition are prone to panic attacks, which can cause them to shut down, withdraw or run away, or can make them shout, swear and lash out. The PDA Society, which has been supporting Tracey, says her situation is ‘sadly far from unique’. Its survey of 1,200 PDA families showed that 70 per cent are either not in school at all, with some being home educated, or regularly struggle to attend. “This figure is much higher than you would expect to see for the autism population overall, showing that the school environment isn’t working for the majority of young people with a PDA profile,” said Vikki Threlfall, who is a trustee at the charity. 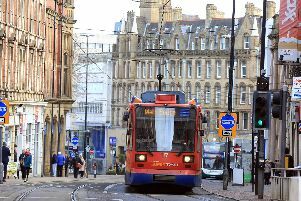 Sheffield Council said it recognised the pressures families are facing when it comes to identifying specialist support for young people with complex needs. It claimed to be working with providers and families to identify needs so it could develop and commission appropriate provision to meet them. The council also said it had signed a petition calling for extra government funding to help it better cater for young people with complex needs. The Department for Education said councils would receive £6 billion for young people with more complex special educational needs and disability (SEND) this year, up from £5bn in 2013, and £500m of this would go to schools in Yorkshire and the Humber. It added that it recognises local authorities are facing ‘cost pressures’ when it comes to catering for children with high needs, which is why it is keeping funding levels under review.